Since dropping their acclaimed 808s and Dark Grapes II mixtape last year, Oakland hip-hop duo Main Attrakionz have offered us a few bite-sized morsels (see "Focalin" and "Women We Chase"). The act are ready to offer up something up a bit meatier, though, with news that they will drop their proper full-length debut this fall. 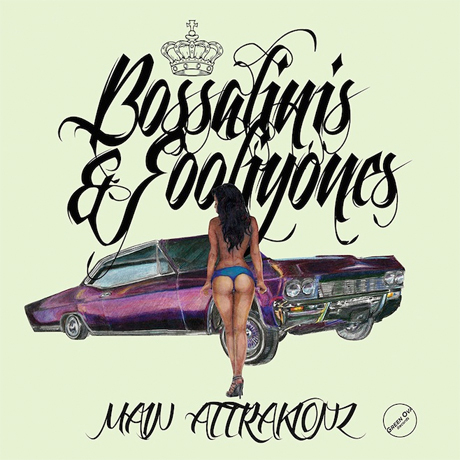 The LP is called Bossalinis & Fooliyones, and it hits retailers October 23 via Young One. A full tracklisting has yet to appear, but Pitchfork reports that the record will feature production from the likes of Harry Fraud, the Mekanix and Supreme Cuts. The Harry Fraud-prepped "Do It for the Bay" will apparently be the first single. While details are relatively scant for the album, the duo have outlined a September tour that will have them in Canada once. The up-north performance takes place at Montreal's Experience Montreal Festival on September 1. You can check out the schedule below. UPDATE: The group have just released the Anna Dobos-directed video for "Double Up" with Fat Tony & Tom Cruz. You can check that out below.